In the top section of the new Steam Library page's design, users will see large tiles displaying the games they played recently, including when that last session took place, how long the game was played during that session, and how may hours the player has spent on the game in total. It shows the players from a glance what's happening to the games in their Steam library, including event details, which events players can now play, and a clear call to action. Moreover, Valve aims to add advanced tag searches, as well as a new Steam Events page. You can look for just your open world titles, as an example. 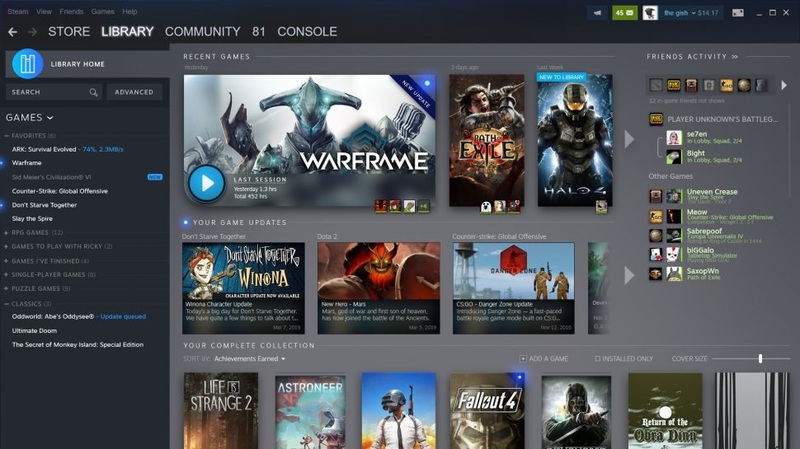 Players will also soon be able to sort their games using the same tag system that the Steam store now employs. The other big change coming to Steam in the near future is a robust event system designed, said Kroll, to improve Steam's functionality in this era of "live service games". Players can also set reminders for upcoming events through the Steam client or mobile app, personal calendar apps, or text messages. Foremost among them are an overhauled game library and an event system that can be used by developers to keep players clued in about what's happening in games they own. Game developers can inform customers about ongoing events happening in a game, such as broadcasts, tournaments and game updates. Basically, it will allow you to see what's "happening" in the games you play. Both features will be available later this year and will go into beta in the next few months according to Valve. Valve did not announce a release date for the Steam library update, however, Valve told PC Gamer that it was hoping for a beta in the summer.